how hydraulic mining techniques caused massive amounts of sediment to enter the San Francisco Bay watershed. 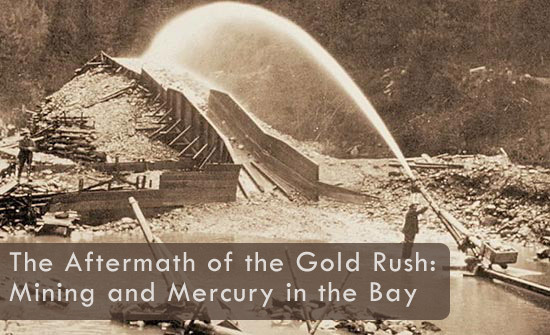 where mercury (which was needed to separate gold from ore) was mined in the Bay Area. about the mercury that persists in area rivers and its toxic effects in the food chain.